ANN ARBOR, MICHIGAN — Four of 11 city council members took a knee during a meeting’s “Pledge of Allegiance” ceremony, having been inspired by NFL players’ protests against inequality. Sumi Kailasapathy, a third-term councilwoman, was one of four who knelt in protest, and she holds issues of social injustice close to heart. 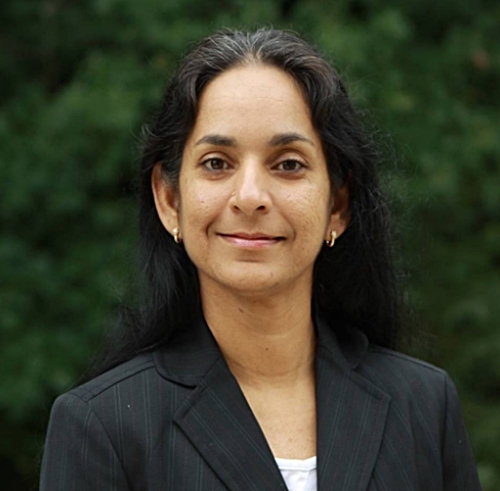 Photo of Ann Arbor Councilwoman Sumi Kailasapathy. According to CNN, Councilwoman Kailasapathy came to the United States as a refugee after losing her home during the Sri Lankan civil war. The source states that, after moving to the U.S., she continued her education and became a professor at Eastern Michigan University. Now, Kailasapathy works as a public accountant and has since encountered many forms of discrimination. The councilwoman mentions as follows. So, during Monday night’s council meeting on October 16, she asked several council members to join her in protest. According to CNN, Chip Smith, Jason Frenzel, and Chuck Warpehoski agreed to take a knee with their fellow council member. After taking the knee, Warpehoski composed a blog post explaining his actions. In the post, he mentioned as follows. Likewise, Warpehoski said it wasn’t his intention to offend anyone by his actions — let alone dishonor those who have sacrificed for this country. Overall, Kailasapathy said she believes there’s nothing disrespectful about kneeling during these ceremonies. According to the councilwoman, it’s our duty as citizens to contribute to this country. “If you are someone who works hard to make your community and country a better place, you have the right to be treated with respect,” Kailasapathy notes. In this, she mentions that no one should judge and dehumanize you simply because you take a different course of action than the common collective. There is nothing illegal, disrespectful, or dishonorable about taking a knee in protest of social injustice. Nevertheless, CNN reports that Kailasapathy and Warpehoski have received a lot of negative and positive feedback from the public regarding the protest. However, they haven’t received any backlash from other city leaders. NFL players have continuously taken a knee during “The Star-Spangled Banner.” Professional quarterback Colin Kaepernick actually reignited anthem protests last year over social and racial injustice. And according to the source, this is what inspired Kailasapathy to take action in her own way. Even veterans have knelt during the pledge as well. All in all, we’d love to know your thoughts about this ever-growing movement. If you have any comments about it, feel free to share them via our Facebook page.